Čačak is located in central Serbia 144 km from Belgrade and lies on the Morava river. The town of Cacak is the administrative, economic and cultural center of the municipality. The inhabitants of Čačak, who, with their work, preserving of the tradition, persistence and desire for creation of the new, better and more beautiful and with their knowledge and education, created the spirit of this town and made it particular and recognizable, are the biggest value of Čačak. Works of their hands, witty mind and spirit left the permanent mark in this region. 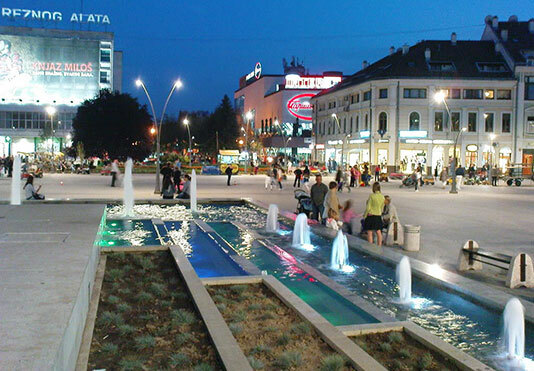 Industrious, skillful, apt and educated inhabitants of this region contributed to development of the Municipality of Čačak, which is ranked among the economically and culturally most developed municipalities in this part of Serbia. Its inhabitants are known as sport fans (football; basketball, tennis etc.). In their free time they enjoy various sports - hunting, fishing, mountain climbing and other recreational activities. Cultural-historical monuments represent the remainders of the past times, evidence of the existence of a nation, its history and events that marked a certain period. A tempestuous history of the town of Čačak and its surroundings left a numerous cultural-historical monuments. Most of these monuments suffered damages, destructions and demolishing under war operations in the past. Yet, a certain number of these monuments have been preserved, and they are the tourist sights of our town. These are the Roman baths, the palace of Jovan Obrenovic, the monument to the soldiers of the First World War, monument to Tanasko Rajic, monument to the participants of Hadzi-Prodan’s rising, monument to Commander in Chief Stepa Stepanovic. In the 15th century Smederevo was the capital of Serbia.Wander through Smederevo fortress, built in 15th century. Today it is well known for its vineyards and for the metal industry. Smederevo is known for excellent wines, as you will be assured after the wine tasting.